About 3 months ago, I found the tarty green plums in a Korean grocery store. We call it “mashil(매실)” in Korean. Mashil is one of the well known secret ingredients (not so much anymore) in Korean cooking. You can’t use the green plum the way it is. It is too tarty and almost bitter. You will need to bury them in sugar and take the extract out of the fruits. 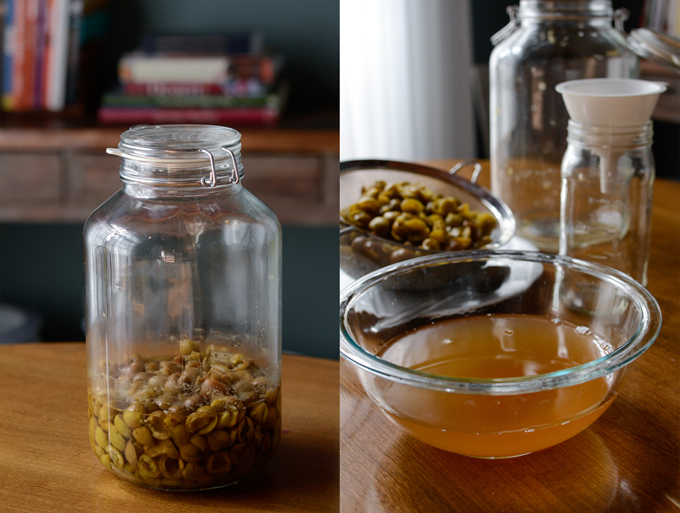 It becomes the Korean green plum syrup, aka “mashil jeup” in Korean. Or you can call it Korean green plum extract. The size of green plums are similar to the the size of cherries. They are very tarty but carries abundant amount of nutrition, full of fiber and vitamins. You don’t want to eat them as raw since they are too tarty and fibrous. But fermenting them in sugar will extract all the greatness from these amazing fruit. Many Koreans make a cold drink with the green plum syrup. The mashil drink (mashil-cha, 매실차) is believed to ease the fatigue and help the digestion after the huge meal. But the best part is to use in cooking. Korean plum syrup is often used in marinating meats. It tenderize the meat nicely. 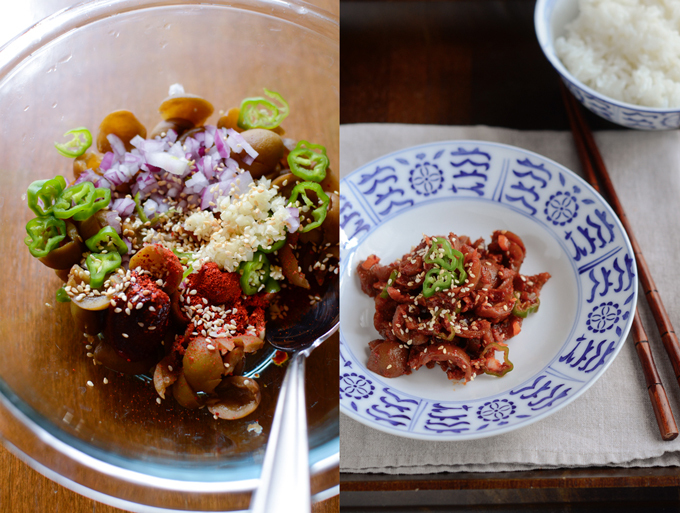 Try this syrup in Korean beef (Bulgogi) recipe. It makes a difference. It can also replace the sugar in many side dish or salad recipes. 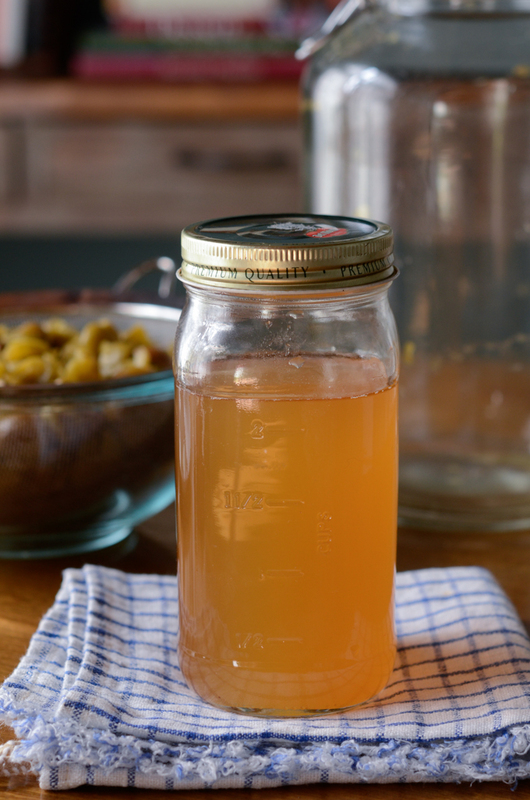 When you make this Korean green plum syrup, you need to remember one thing. The pit! 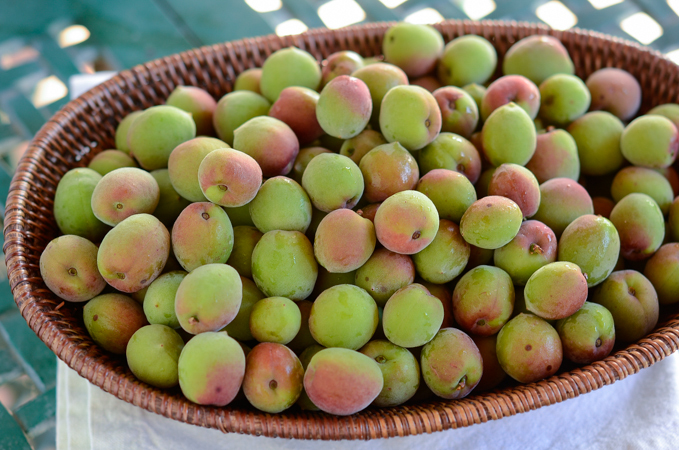 The pit of green plums has a glycoside component called Amygdalin. It is poisonous. The same goes to peach seed or apricot seed. That’s why we don’t eat the seeds of those fruits. Typically, the whole green plums are buried in sugar. It shouldn’t be a problem if you let them ferment for a long period, about 1 year. Yes, 1 year! The Amygdalin will disintegrated by the enzyme that has been produced during the fermentation and won’t cause any harm. However, if you need to use the extract sooner than you think, it can cause stomachaches. I like to remove the pits. It is easier than you think. Use a hammer. Just wack the fruit on top and the pit will be separated easily. Watch your finger, though. It is fun to wack the fruits if you haven’t done it yet. Make sure you put a towel underneath the cutting board to protect the table or the counter top. 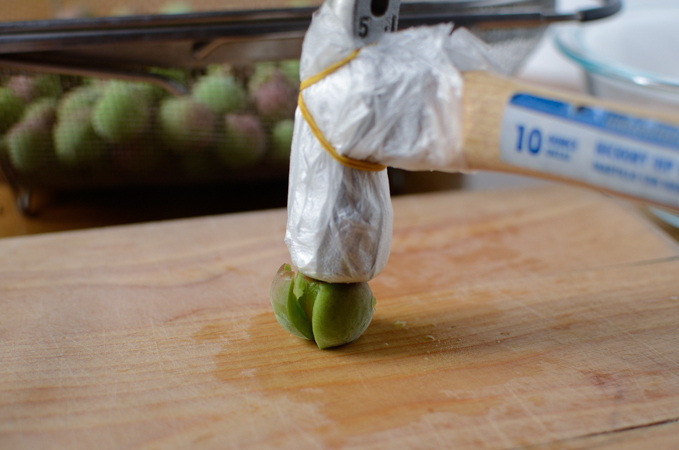 I purchased 1kg of these green plums and it only took about 15 minutes to remove the pits. And I had a fun. 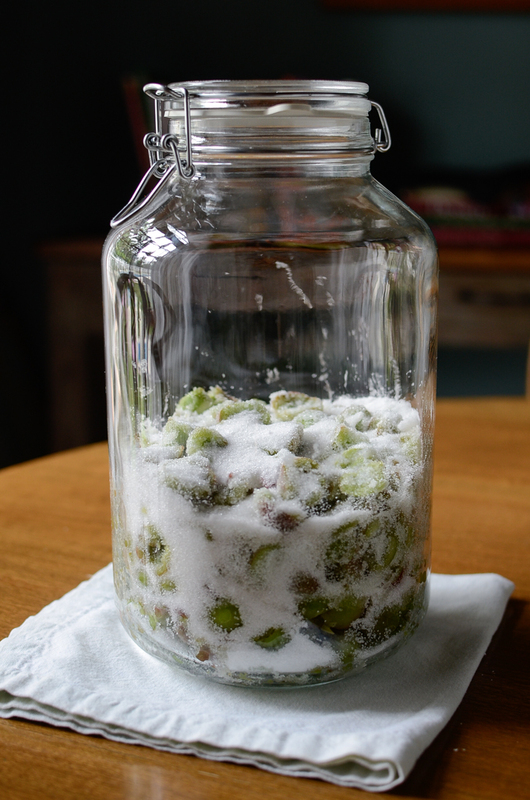 You will need a very clean (sterilized) glass jar that is airtight. I put a layer of 1/3 of fruit then followed by 1/3 of sugar, repeating 2 more times. Let it is on the room temperature for 3 months. The bright green color of the fruit will become golden brown. Strain the fruits and collect the juice in a bowl. 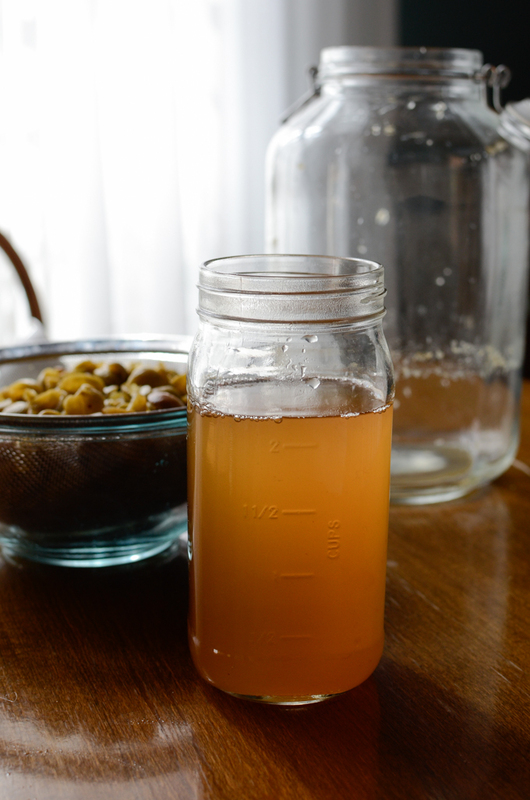 1 kg of green plums produced me a little over 2 cups of attractive amber colored syrup. My Korean green plum syrup looks beautiful! I regret that I only purchased 1 kg. I should have bought 2 kg. You will need to store this syrup in the fridge. It can last until you empty out. Just toss together and it can be served as a side dish to any Korean meal. Nothing goes into waste. 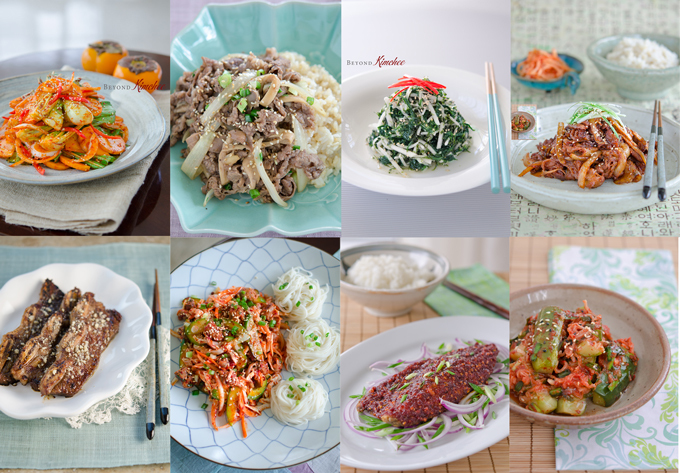 The recipe links from the top left : Bochoy Persimmon Kimchi Salad, Korean Beef Rice Bowl, Seaweed Salad with Radish, Spicy Korean Pork, Korean BBQ Ribs (LA Galbi), Spicy Sea Snail Salad, Gogalbi, Cucumber Kimchi. Now, you can use this syrup in many Korean cooking. 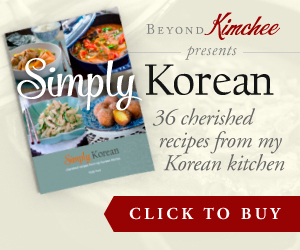 Add 1-2 tablespoons into meat or poultry recipes, side dishes or salads, or even in kimchi recipes. I am planing to marinade my Korean BBQ, beef LA Galbi recipe with the delicious Argentine beef and this Korean plum syrup. I am also going to make cucumber salad with this syrup, and if I can find a mackerel fish, I am going to make my delicious pan fried mackerel recipe called gogalbi. I am excited. Put the plum on the cutting board and wack the top with a hammer. The pit will be separated from the fruit. Discard the seeds and collect the fruit. In a large airtight container, layer 1/3 of the plum on the bottom and sprinkle 1/3 of the sugar. Repeat the layering until the sugar covers the top. Close the lid and store in a dark place. Let them ferment for 3 month. When ready, strain the plum and syrup in a fine strainer. Collect the syrup into a jar and store in a fridge. For the use of fermented fruit, rinse lightly with water once, then season with Korean chili paste, chili flakes, red onion, garlic, sesame oil, and sesame seeds. Toss well to coat. What a fun post! I've never had plum syrup of any description -- sounds so interesting. Thanks! Should I be able to find green plums at my local Korean market and is there a particular season they are more easily available? I'd love to try this! Not every store carries them, but a large national chain Korean market might. 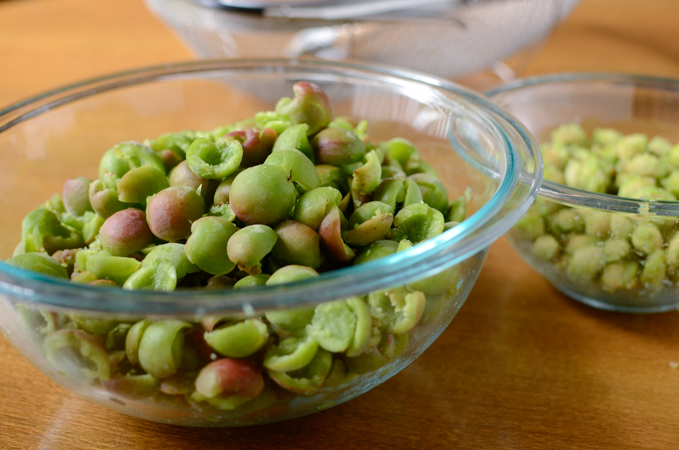 Summer is the season for green plum, so keep look around. Hope you can find them soon. You are a good writer in such category. 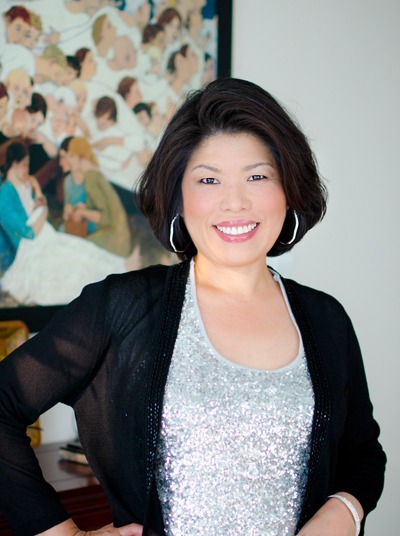 Reading your information and instructions make me more confident about exploring Korean Food! I will read only your instructions so as not to get confused. I can't get it where I live. What can I use as a replacement? Cpyld I use tamarind and add extra sugar? Teh substitution can vary depends on the recipe. If you can't find it, just omit it.